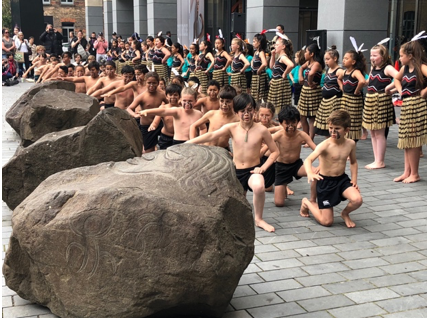 Our Te Aka Pūkāea Kapa Haka group performed at Britomart on 18 October in front of hundreds of onlookers. This was the first time that every student in both our Māori Medium units had the opportunity to perform in public. We were very proud of every one of our akonga (students), who demonstrated they were excellent ambassadors for our school. They performed with confidence and passion. A big thank you to Matua Jo Stafford for organising the opportunity, Matua Ruia for co-ordinating everything, our kaiako for their preparation, and our parents for supporting all our students.